Croatia has many ties with Japanese markets, yet the co-operation between this two countries shines when seafood is considered. Every fall, dozens of Japanese agents arrive to Adriatic shores, aiming to make the best purchase of fish goods and send them to distant Land of the Rising Sun. 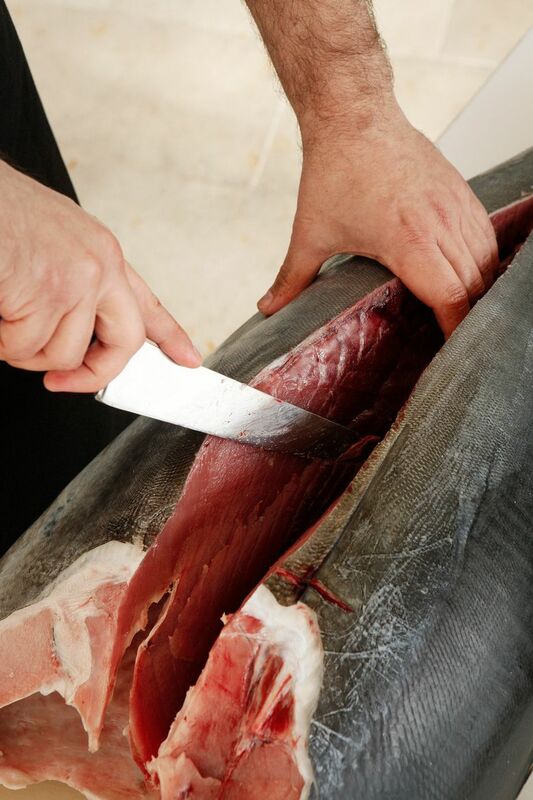 It might be a long voyage, but the buyers of the world’s largest fish market, called Tsukiji, are more than happy to invest in Adriatic tuna steak. Whether raw, grilled or slowly cooked, the golden-finned fish is a demanded delicacy on Japanese market, often reaching peak prices. Rest of the world follows the pattern. After all, tuna was harvested by old Greeks and Phoenicians more than two millennia ago, and was praised by Aristotle himself. However, the current craze for tuna dishes is relatively new. 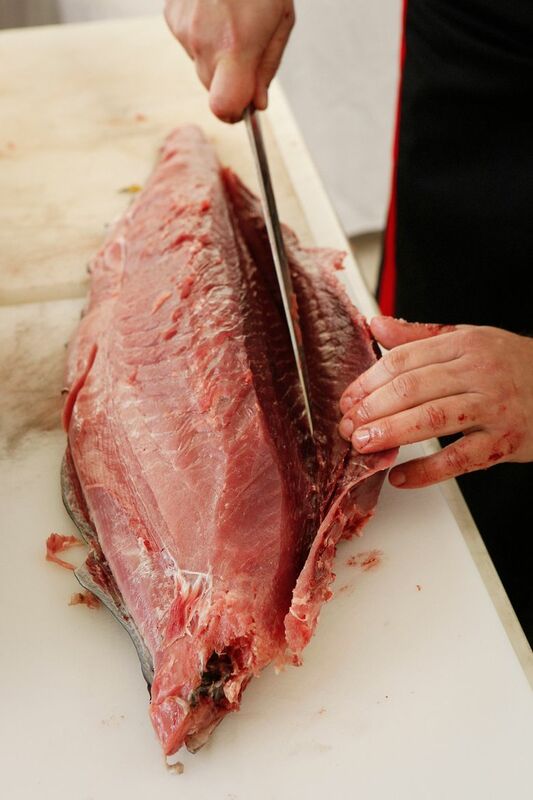 Merely one century ago, the fish’s meat was considered to be of a very low quality. It was reserved for poor people, who would usually leave the more fatty bits to pets. To mention Japanese again, they would storage their tuna meat into an underground hole for four days- just to relieve it of strong scent. The tide turned with the coming of refrigeration, which paved the path of tuna to its current status as a prime seafood delicacy. As an animal, tuna loves oceans. However, it can be abundantly found in Mediterranean region, which includes Adriatic Sea. 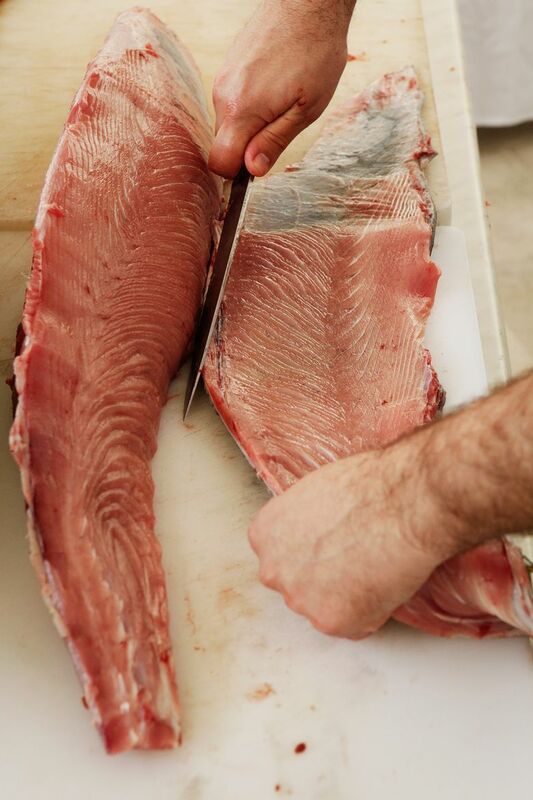 A lot of experts believe the latter to be the optimal region for harvesting, thus Adriatic Tuna Steak could easily be proclaimed the best in the world. The fishing season is usually associated with fall and spring seasons. Quality of meat is assured if it has a darkish red color without brown segments or bluish spots. Light tones suggest that fish was recently removed from the fridge, meaning it could be filled with water that lowers the enjoyment of consummation. Finding tuna shouldn’t be much of a problem in Croatia, as most fish markets have it in standard offer. As for Croatian restaurants, you may find many variations of the dish. Tuna is an important ingredient of various tartar-like spreads and spices, and many like to eat the so-called tuna prosciutto. Of course, the Japanese influence brought sashimi specialties on the menu as well. However, the Adriatic Tuna Steak is still the star of the show, especially if the fish are coming from region around Zadar. 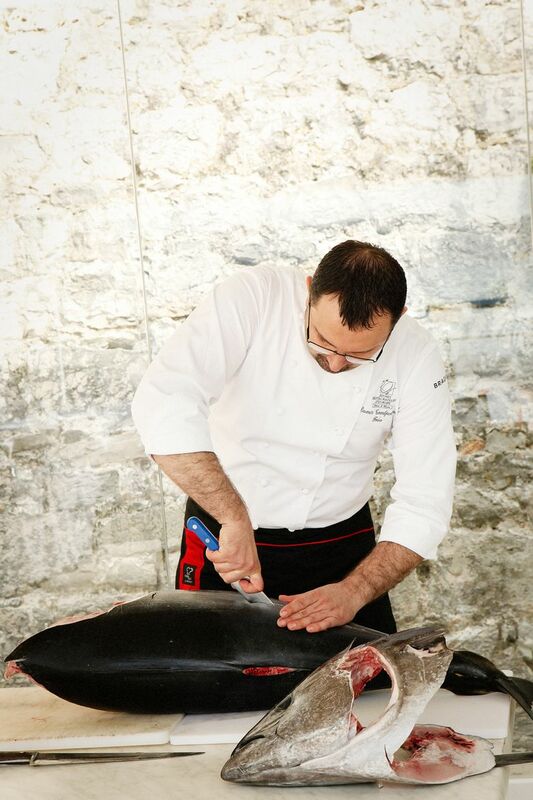 The Dalmatian Town became internationally known for its Tuna, Sushi & Wine Festival which gathers Croatia’s best chefs, such as Damir Tomljenovic and Sasa Began of local restaurant Fosa. The rules of prepping this dish are fairly simple and similar to those of making a great beefsteak. 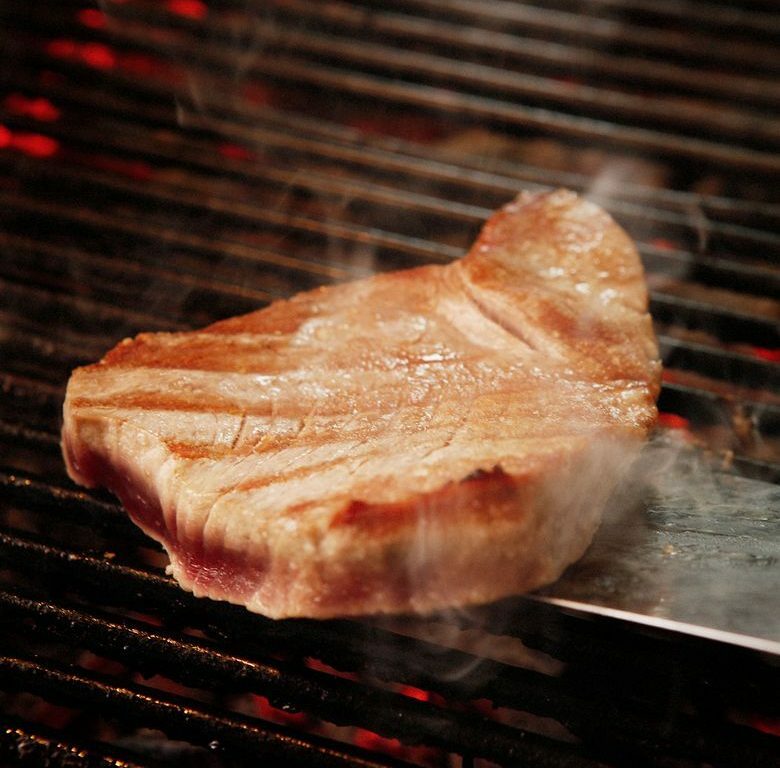 Tuna meat has a thick texture, so you shouldn’t use much of oil, and apply it only right before the grilling. Don’t have it above the flame for long, as that might lead to the meat being dry. If in Croatia, don’t hesitate to order this dish in a local restaurant. 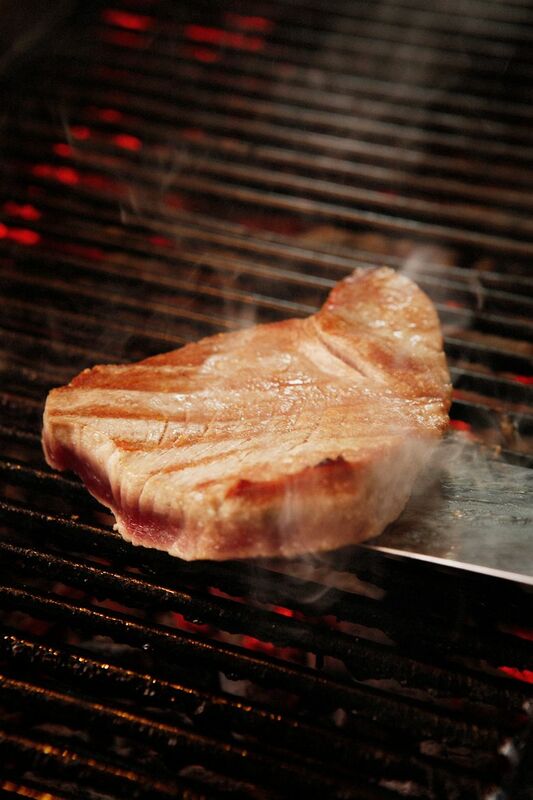 After all, it might truly be the best tuna steak in the world. It’s a horrible shame locals have to pay more because little is left for us after export.